Let’s take a look at Robinhood. I’ll give you the good and the bad of the app. Yes, they have free commissions, but does that mean they are still a quality broker and someone you should be using to trade and/or invest with? Here are my thoughts. There are all kinds of “companies” out there that are total scams and are just looking to take your money, Robinhood is not one of these. Robinhood is backed by FINRA and SIPC, they are federally registered and monitored. You should have no hesitations when it comes to investing your money with Robinhood from a reliability standpoint. Robinhood’s main selling point is, “No Commissions!” and they stand by this 100%. At the time of this writing they have $0 trade commissions as well as no hidden fees. Some brokers try to nickel and dime you with extra charges, but when it comes to Robinhood they are straight forward and upfront about the fees they charge. You can view their complete fee schedule here. Signing up for Robinhood is a breeze. Within about 5 minutes I was able to sign up for Robinhood, on my phone, while sitting in the airport. The forms are simple and straight forward and took no time at all to get approved. With customer service comes my first “knock” against Robinhood, but in reality “you get what you pay for”. With Robinhood you are getting no fee commissions, because of that they are going to have a smaller staff. They aren’t going to be there to “hold your hand” through every step, but that’s the tradeoff for no commissions. We have reached out to them several ways and had varying levels of success. We contacted them via phone, our call was answered right away by someone who appeared to be based in the US. The problem was the support agent was unable to answer our questions and gave us a contact to email. We have sent out several emails and have yet to receive a response. 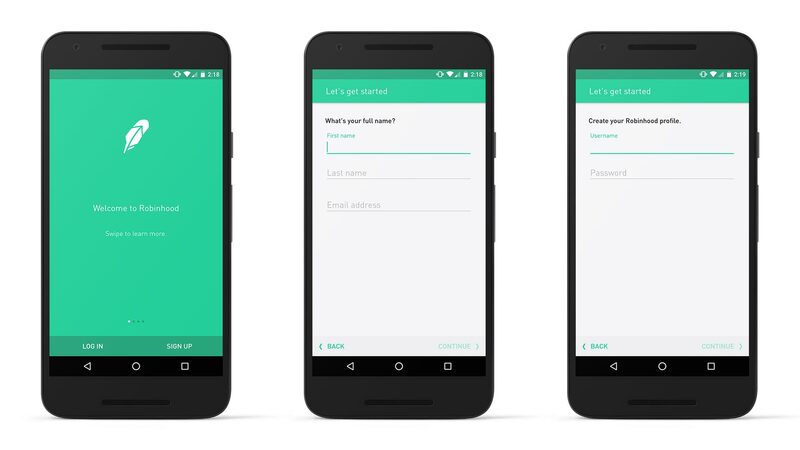 Their platform, or really their app, is 100% phone based. You must have an iOS or Android device and they do not offer any desktop or online software. This may be good or bad, that really depends on your strategy and how you plan to trade, we will get more into that later on. Right off the bat you are given real-time quotes and data from the app. No need to fund your account or contact support like many other brokers require. No delayed data at all. Just login and you are getting up to the second, real time, data. The only downfall of this real time data is it’s quite limited. There are no Level 2’s, and while they provide charts, they are simple line charts. Once again, this may or may not be an issue depending on your strategy. At the time of this writing Robinhood is stocks only. They do not allow trading of any other equities or securities like options or futures. When it comes time to actually place an order to enter a trade Robinhood does a good job. The software is very intuitive and has a good amount of order entry types for buying a stock. The one downfall is there are no conditional order entry types. If you want complex orders, this is not the place for you. 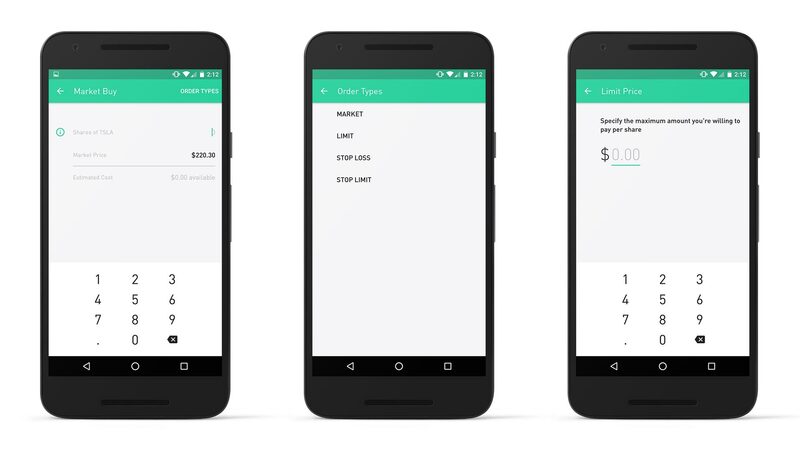 The real question that you probably want answered, should you use Robinhood? That question isn’t quite black and white, let me explain why. First off what is your strategy, ie what is your method of determining the price direction of a stock? Technical Analysis? If you are looking to trade using charts and technical analysis, then Robinhood may not be the best solution for you. This goes back to their charts. For technical analysis you need candlestick charts with the ability to add indicators and studies. 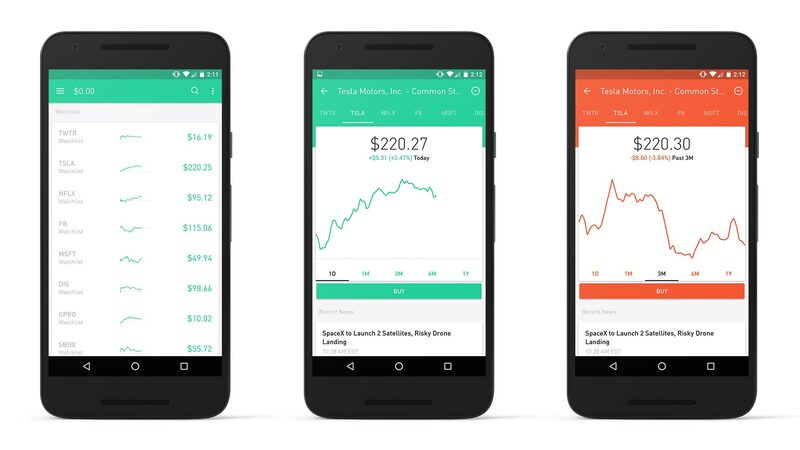 You could still use Robinhood for you order entry while using a 3rd party service for you charts and studies, however this can get a little tricky switching between platforms on a phone. Not saying impossible, but tricky. Fundamental Analysis? Maybe Fundamental Analysis is your bread and butter. You are all about Earnings and P/E ratios. If that’s the case Robinhood will work just fine for you as all of that information is freely available online anyway. Social Media? Are you going to the likes of Facebook, StockTwits, Twitter, or iHub for your strategy? Let’s be honest, that’s not a strategy at all and you should head back to the drawing board. Now that you have your strategy figured out, what is your style of trading? Are you a trader or an investor? How many trades do you make a month/week/day? Need definitions of what a trader or investor is? Click here. We are going to break the “trader” category into two groups. First is going to be the active trader. The second group I’ll call passive traders, or swing traders. This group would be comprised of anyone who is not an investor and makes less than 3 trades a week. In this case Robinhood might be a great fit for you. 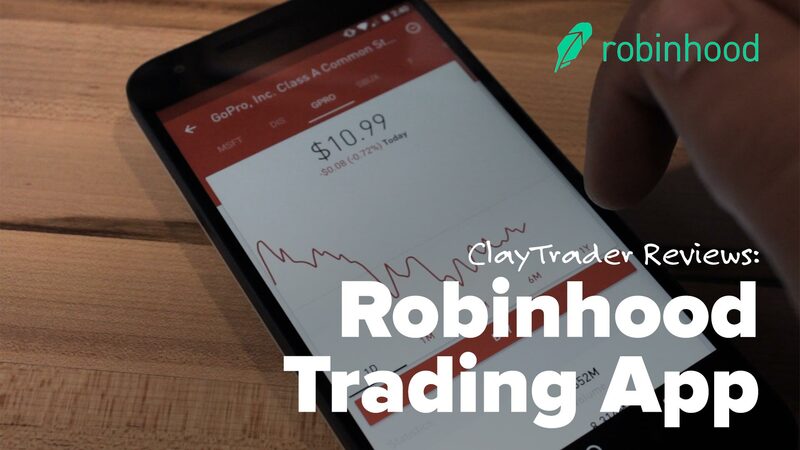 This group will be trading at a little slower pace than the active traders and will benefit more from the no commission trades that Robinhood offers. If you are an investor, then Robinhood could be a good fit for you. The big knock here is they currently do not offer any retirement vehicles, like and IRA, for use when investing. Because of that you will end up paying more taxes on long term investments that will more than offset your savings with zero commissions. One note, regardless of your style of trading, if you have less than $25k in your account you will be subject to the Pattern Day Trading rule, learn more about that here. When it comes down to it, you need a trading platform that fits within your style of trading. If you are trying to drive your round peg of a strategy through the square hole that is Robinhood, you are going to have issues. The right platform truly does make all the difference. The missed opportunities or errors caused by trying to use the wrong platform will cost you much more than the few dollars you saved in commissions.